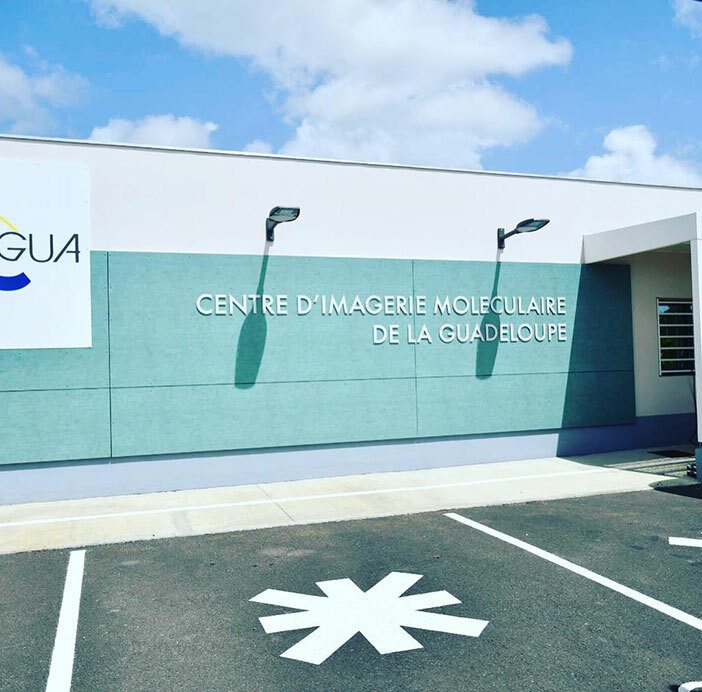 GUADELOUPE — The € 8,9 million Guadeloupe Center of Molecular Imaging (CIMGUA) officially opened on the 18th of June. This is the first medical center enabling the screening and treatment of diseases such as cancer, or neurological and cardiac diseases in the Caribbean through advanced nuclear technology. CIMGUA will facilitate access to advanced health care within the region, providing an alternative and often less expensive option to patients. The Center was officially opened last week in presence of the President of the Regional Council of Guadeloupe, H.E. Ary Chalus; the Chairman of the CIMGUA and the Sem Patrimoniale, Mr. Guy Losbar; representatives of the University Hospital Center; the Regional Health Agency, the Minister of Health from Anguilla Hon Evans Rogers and the Head of the OECS Commission Health Unit Dr. Carlene Radix.Nuclear technology contributes to major advances in the area of cancer care and the CIMGUA is equipped with a cyclotron and a PETscan. The combination of both pieces of medical equipment facilitate the screening and treatment of cancers. The cyclotron enables the production of a radiotracer, namely Fluorodeoxyglucose, which is inoculated into the patient to label the cancerous cells. After this first phase, the PETscan measures the metabolic activity of the cancerous cells and facilitates their identification and treatment.The new Medical Center has been given the all clear from the Nuclear Safety Authority – the organ that ensures the regulation of nuclear safety to protect the public and the environment from the risks of undertaking nuclear activities. Authorizations were granted in July 2017 and May 2018 certifying that CIMGUA was officially ready to begin its operational phase. 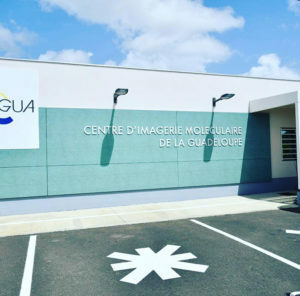 “The Center of Molecular Imaging of Guadeloupe was truly a reflection of cooperation between the civil society, health specialists and several government agencies in Guadeloupe. We look forward to close cooperation so that these services can be extended to citizens living in the OECS,” Dr. Radix said.